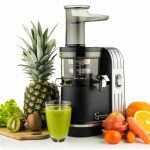 The Sana Juicer by Omega EUJ-707 is single auger juicer equipped with a powerful motor to thoroughly chew up plant fibers to fully extract vitamins, enzymes, and minerals from fruits, vegetables and wheatgrass. 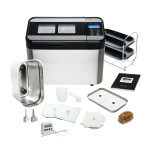 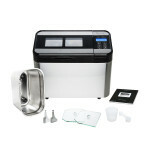 The unit’s dual-stage juicing system ensures maximum efficiency, while its low rotation speed of 70 RPMs means no foaming like with centrifugal juicers, no clogging, and no heat build-up. 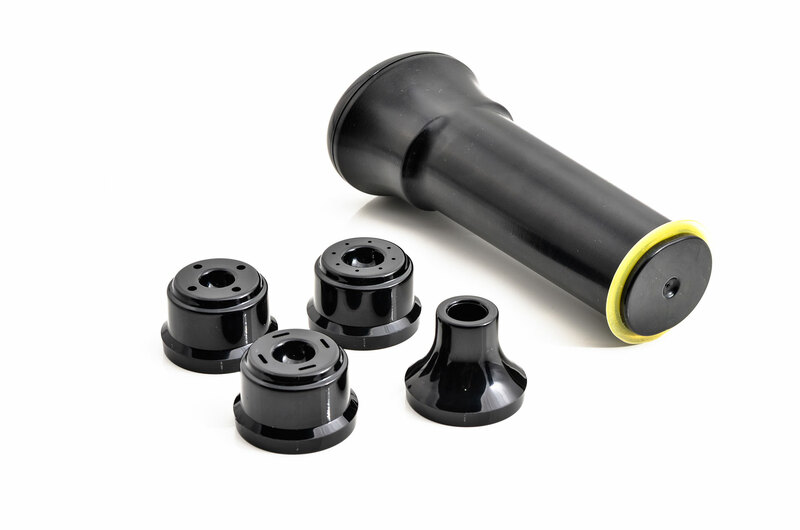 Other highlights include a high juice yield with very dry pulp, a bigger feeding tube, a new stylish design, four stabilizing feet, and quiet operation. 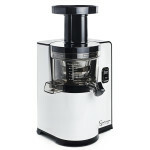 This Sana juicer is not just for juicing only: it easily turns nuts into nut butter, extrudes pasta, grinds coffee and spices, minces herbs and garlic, makes baby food, processes frozen fruits into “ice cream”, and whips up soy milk in a flash. 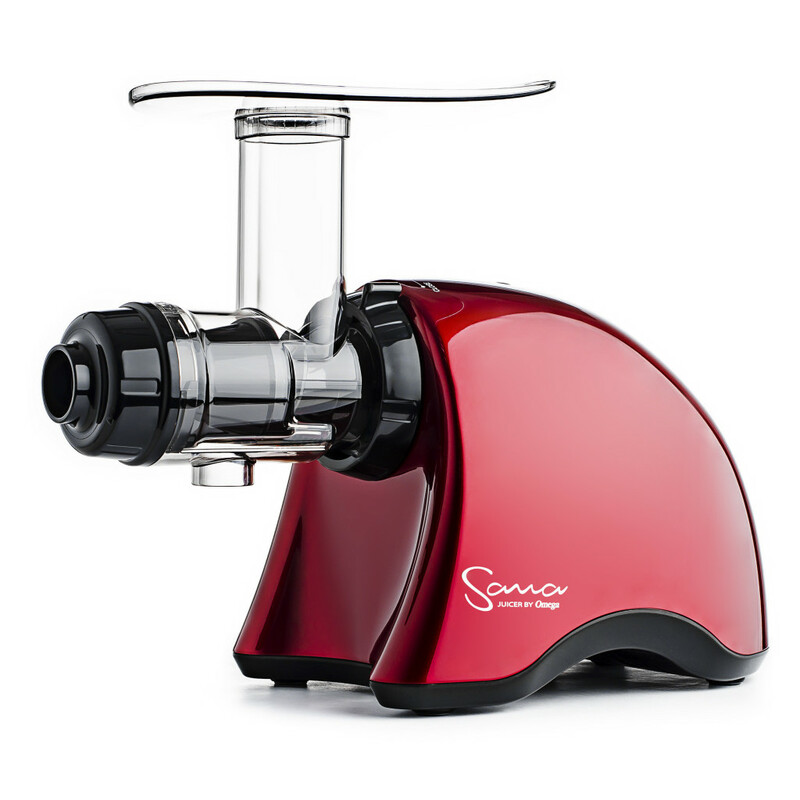 Use the Sana juicer to make delicious healthy drinks and snacks everyone will love. 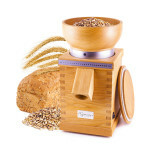 If you buy the Sana oil extractor attachment, you can get fresh oil from many kind of seeds (flax, sesame, sunflower seed). 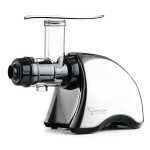 In the past, the only juicers with a LARGE FEEDING TUBE were vertical juicers, but Sana has changed things. 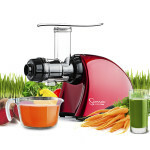 Now you are able to use the same size of feeding tube and still get all benefits of horizontal juicers (versatile juicing, no troubles with leakage, easy cleaning, no problems with leafy greens,…). 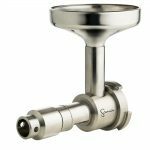 Sana Juicer by Omega is the first horizontal single auger juicer using the optional COARSE SCREEN! 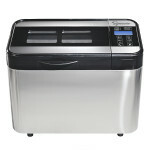 You are able to process soft fruit and vegetable much more easily and you get better juice yield as well. 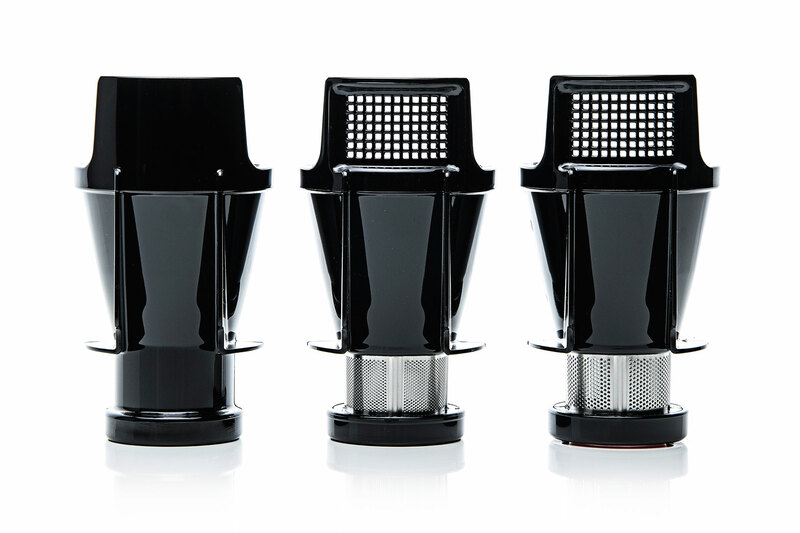 PUSHER WITH SILICONE RING works perfectly and you are able to process all kind fruits or vegetables without pieces stuck in the feeding tube. 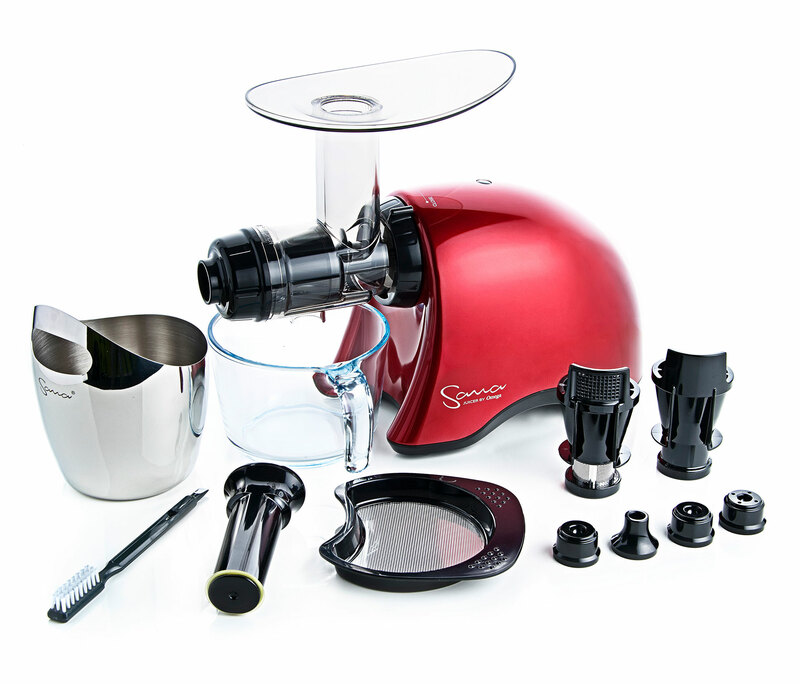 Another innovative new feature is that the power cord comes from the bottom of the juicer. 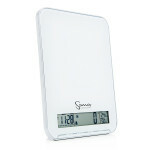 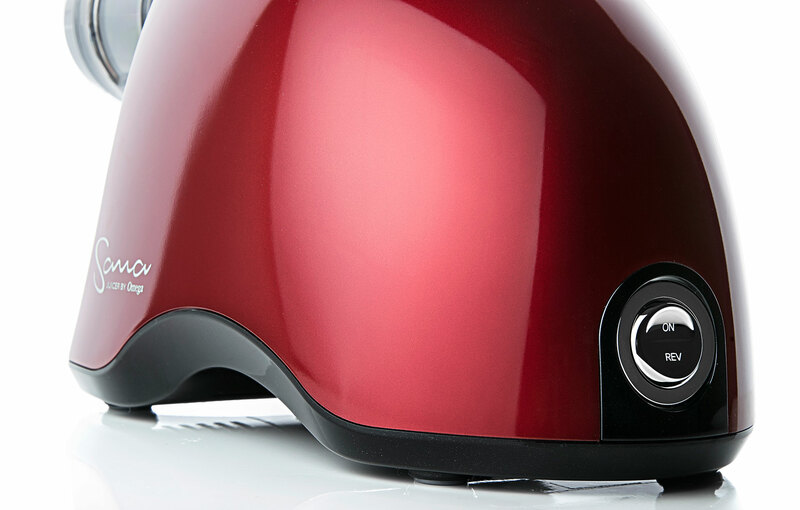 You are always able to place the plug directly into the wall socket – no cord running around the juicer anymore. 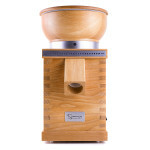 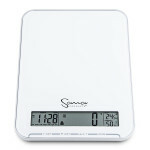 The clever shape of the body allows you to carry the juicer without a handle! 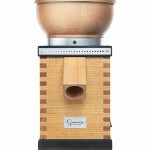 Sana Juicer by Omega had been made perfectly to the last detail. 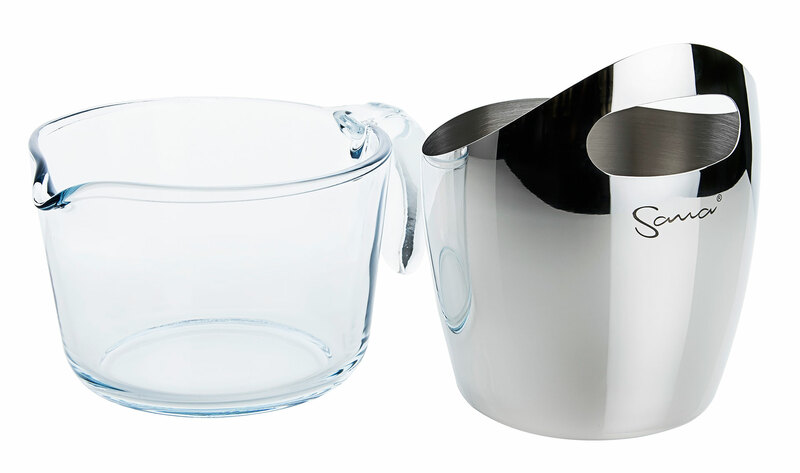 A large glass container for juice and stylish stainless steel container for pulp fit perfectly. 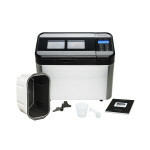 All parts which are in contact with juice are 100% BPA free! 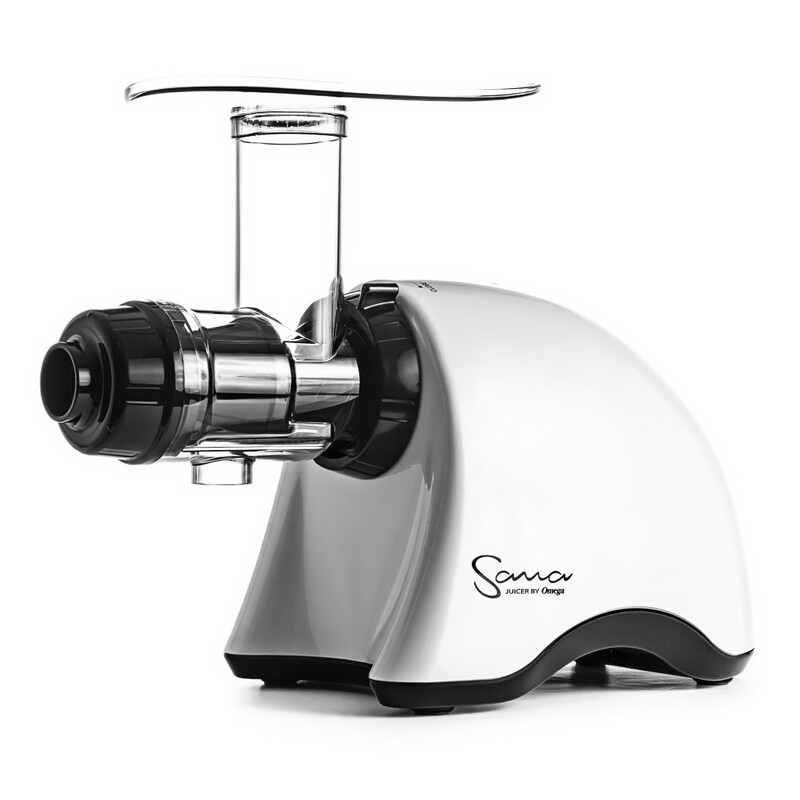 The living enzymes in the juice produced by the Sana juicer ensure a fresh and vital juice which retains appearance, flavor, and nutrients for up to 48 hours when stored in the refrigerator. 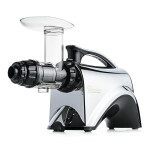 Juice from conventional juicers deteriorates very quickly. 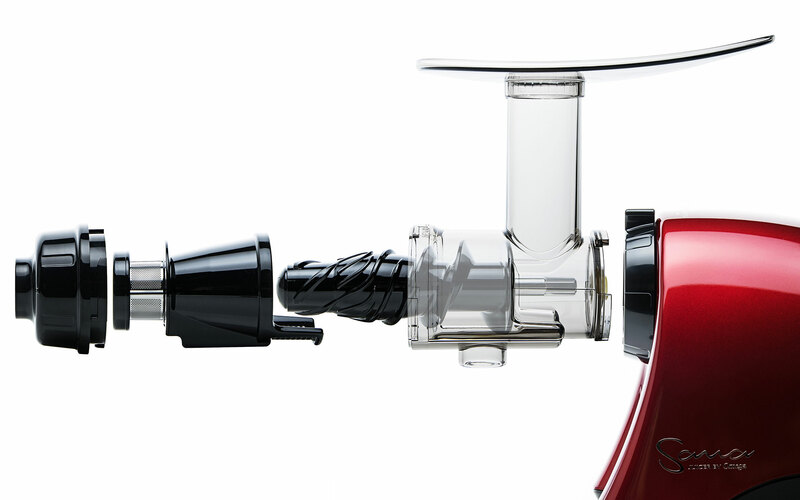 One way to see the quick deterioration of juice from high speed juicers is the brown color of the bubbles on the side of your drinking glass. 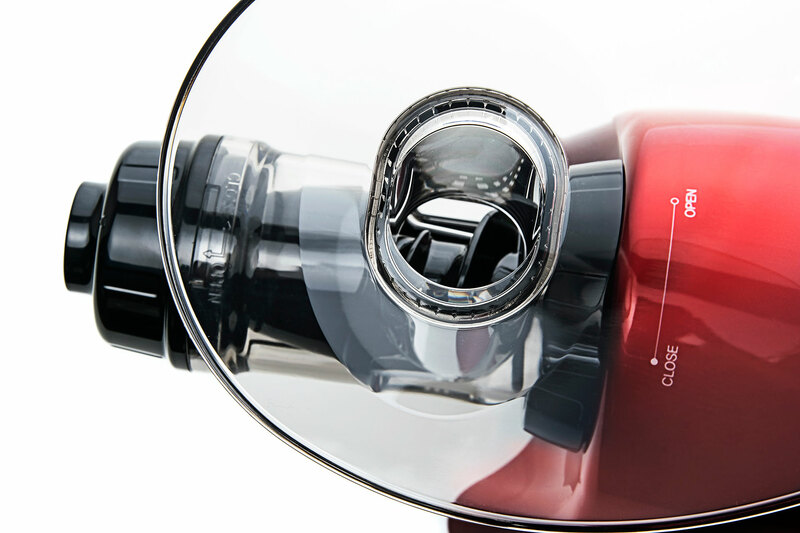 This means your juice is oxidizing and losing its nutritional value.